Cotton has been the fabric of our lives for literally centuries. Known primarily as a versatile, natural fiber, every cotton crop yields more than just the key ingredient of denim and corduroy. Most commodity crops present an “or” proposition. Soy, for example, can provide beans for a range of food products, or oil for cooking. Cotton, on the other hand, is an “and” crop. Each harvest provides fiber for textiles, seed for livestock feed and oil for cooking, and other plant byproducts for uses as varied as LED screens and extruded decking materials. In the U.S., growers of this “and” crop have been self-investing in technologies to continuously improve the production of cotton, and that expand the uses of the entire cotton plant. 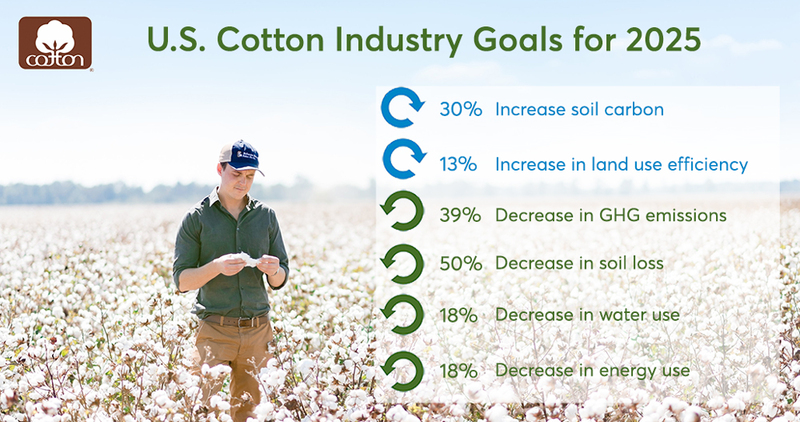 From a production standpoint, U.S. cotton has demonstrated significant environmental gains over the past 40 years. As reported in the Field to Market® National Indicators Report (2012), technology aided improvements in water and energy use. Related to this, Greenhouse Gas Emissions decreased from 2.1 pounds of CO2 per pound of cotton lint in 1980, to 1.3 pounds in 2015. ‍Already, many producers across the 17 cotton-producing states are employing water sensors, aerial drones and GPS-guided pickers to grow and harvest cotton crops. And, new technologies are on the horizon through a range of research projects across the country, many funded by Cotton Incorporated. Many cotton research projects address the challenge of weeds. Weeds are a major threat to all agriculture because of their tenacity and adaptability. Historically, hand weeding and the application of herbicides have been the main methods of weed control. But there is something new on the horizon. As recently published in the journal Proceedings on the Natural Academy of Sciences of the United States, a new transgenic cotton variety has been developed that essentially feeds the cotton plants and starves the weeds. The new variety expresses the ptxD gene. This gene enables a plant to convert an application of phosphite (rather than phosphate) into nutrients. The weeds, which do not express the ptxD gene, would receive no nutritional benefit, however. This is a revolutionary approach that could provide fertilization and weed suppression in one field application. Robots are also a promising area of weed control. Currently Cotton Incorporated is participating in research to develop an autonomous field robot that would use optical technology to identify and remove weeds. The same optical technology could potentially be leveraged to identify and retrieve cotton bolls the moment they are ready for harvesting. Much has been reported on the contribution of synthetic textile fibers to the accumulation of microplastics in our environment, particularly in aquatic environments. To better understand what, if any, contribution cotton might be making to this phenomenon, Cotton Incorporated partnered with North Carolina State University to explore cotton microfiber degradation rates in aquatic environments. The study is examining cotton, polyester, cotton/polyester blends, and rayon in salt water, fresh water and wastewater treatment environments. While the fresh and salt water tests are still in progress, results from the wastewater portion show that 100% cotton microfibers break down 76% over 243 days, while polyester breaks down at a rate of 4% over the same period. Though it is not widely known, cotton has been part of the United States food supply chain for over a century. In fact, cotton is regulated as a food crop in the U.S. Cotton, cottonseed, and cottonseed oil are all utilized in the prepared foods industry and be found in foodstuffs as diverse as salad dressings, ice cream, and light beer. For decades, many U.S. dairy farmers have included cottonseed as part of their cows’ diet. Cottonseed has been shown to produce high yields of rich milk in dairy cattle. However, a substance called gossypol, present in the seed and the plant, makes cottonseed indigestible by all but ruminant animals such as cows. In the plant, gossypol acts as a natural pest-deterrent, but it serves no purpose in the seed. After more than 30 years of research, a breakthrough was made to suppress gossypol production in the seed, but retain it in other parts of the plant. The resultant cotton varieties could unlock the potential use of cottonseed as a protein-rich feed for a wider range of livestock, including farm-raised fish, and even as a component of human diets. Currently, ultra-low gossypol cottonseed’s suitability for human consumption is being reviewed by government agencies. A recent study indicates that cottonseed oil may be beneficial to human health. The study compared metabolic responses to diets using olive oil with diets using cottonseed oil. The results, published in the British Journal of Nutrition in June 2018, suggest that cottonseed oil as a dietary component could reduce LDL (“bad” cholesterol) and triglycerides, while increasing HDL (“good” cholesterol) and curbing caloric intake. Cotton is an “and” crop that in every harvest already provides textile fiber, cooking oil and cattle feed. For every acre of cotton harvested ingredients for food and clothing are produced. Thanks to the commitment to self-investment by U.S. cotton growers, as well as their commitment to sustainability, new, novel and useful components are responsibly produced on the same acreage that might have been used for textile fiber, alone. 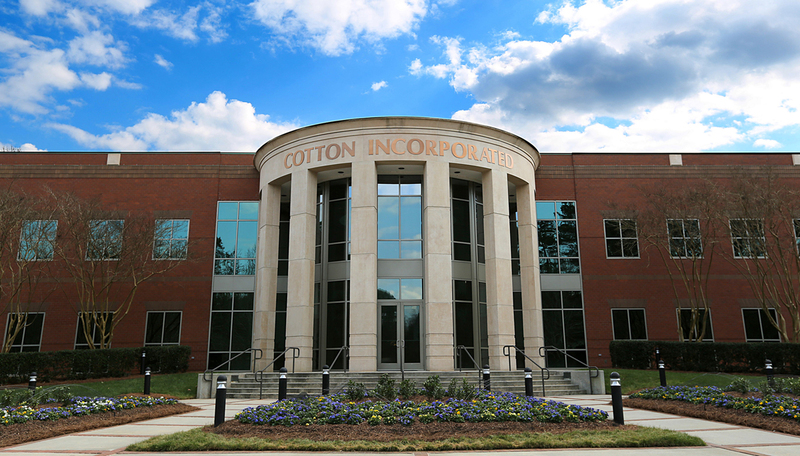 Cotton Incorporated is the research and marketing company for U.S. cotton growers and importers. Established in 1970 as a not-for-profit company, its mission is to increase the demand for and profitability of cotton. The company meets this straightforward mission by identifying efficiency and best practice opportunities along each link of the global cotton supply chain, and through global marketing efforts aimed at consumer and trade audiences.As a company dedicated to providing research and intelligence to the global cotton industry, Cotton Incorporated has offices in strategic textile centers around the world: Hong Kong, Mexico City, New York, Osaka and Shanghai, with the World Headquarters based in Cary, North Carolina. The Cary facility is a state-of-the-art research center that performs or oversees the development of innovations in agricultural practices, fiber processing and analyses, textile chemistry, spinning, weaving, and fabric engineering; and provides in-depth crop, market and consumer marketing analyses to stakeholders. The company also creates and disseminates seasonal surface and color trend directions, and is aggressively researching commercial product uses for the entire cotton plant.